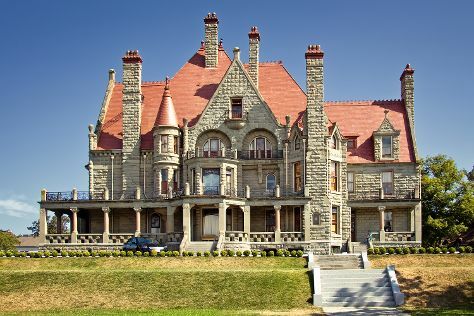 Kick off your visit on the 23rd (Sun): take in nature's colorful creations at Victoria Butterfly Gardens and then step into the grandiose world of Craigdarroch Castle. To see maps, reviews, and tourist information, read Victoria road trip site . Chandigarh, India to Victoria is an approximately 18.5-hour flight. You can also fly; or do a combination of flight and bus. The time zone difference when traveling from Chandigarh to Victoria is minus 13 hours. Prepare for cooler weather when traveling from Chandigarh in December: high temperatures in Victoria hover around 7°C and lows are around 3°C. Finish your sightseeing early on the 23rd (Sun) to allow enough time to fly to Vancouver. On the 24th (Mon), take a stroll through Granville Island, then kick back and relax at Kitsilano Beach, and then enjoy the sand and surf at Jericho Beach. Keep things going the next day: kick back and relax at Spanish Banks, then tour the pleasant surroundings at Wreck Beach, then examine the collection at Museum of Anthropology, and finally take a stroll through Gastown. To see more things to do, photos, and other tourist information, go to the Vancouver trip itinerary maker tool . You can fly from Victoria to Vancouver in an hour. Alternatively, you can do a combination of ; or take a bus. Expect a daytime high around 7°C in December, and nighttime lows around 2°C. Finish your sightseeing early on the 25th (Tue) so you can travel to Banff National Park. Start off your visit on the 26th (Wed): contemplate the waterfront views at Moraine Lake, get a new perspective on nature at Buffalo Nations Luxton Museum, then get a new perspective on nature at Banff Park Museum, and finally see the interesting displays at Whyte Museum of the Canadian Rockies. 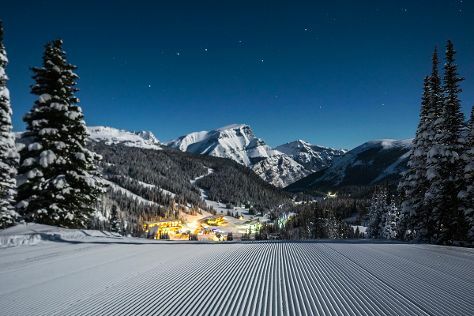 Get ready for a full day of sightseeing on the 27th (Thu): look for all kinds of wild species at Sunshine Village. For traveler tips, more things to do, other places to visit, and other tourist information, go to the Banff National Park tour planner . Getting from Vancouver to Banff National Park by combination of flight and shuttle takes about 8 hours. Other options: drive; or do a combination of subway, bus, flight, and shuttle. Traveling from Vancouver to Banff National Park, you'll lose 1 hour due to the time zone difference. Traveling from Vancouver in December, things will get colder in Banff National Park: highs are around -10°C and lows about -19°C. 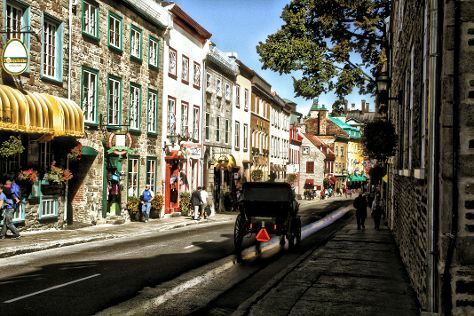 Wrap up your sightseeing on the 27th (Thu) to allow time to travel to Quebec City. Kick off your visit on the 28th (Fri): brush up on your military savvy at La Citadelle de Quebec, then appreciate the extensive heritage of Terrasse Dufferin, and then get to know the fascinating history of Old Quebec. Get ready for a full day of sightseeing on the 29th (Sat): take in the dramatic scenery at Parc de la Chute-Montmorency, then see the interesting displays at Musee de la civilisation, and then admire the landmark architecture of Musee national des beaux-arts du Quebec (MNBAQ). To see more things to do, reviews, maps, and tourist information, read Quebec City online journey maker . Traveling by combination of shuttle and flight from Banff National Park to Quebec City takes 12.5 hours. Alternatively, you can do a combination of shuttle, flight, and train; or drive. You'll lose 2 hours traveling from Banff National Park to Quebec City due to the time zone difference. Cap off your sightseeing on the 29th (Sat) early enough to go by car to Montreal. Start off your visit on the 30th (Sun): get a new perspective on nature at Biodome de Montreal, then take in the architecture and atmosphere at Notre-Dame Basilica, then admire the masterpieces at The Montreal Museum of Fine Arts (Musee des Beaux-Arts), and finally don't miss a visit to Crescent Street. For where to stay, more things to do, reviews, and more tourist information, go to the Montreal day trip planning tool . Traveling by car from Quebec City to Montreal takes 3 hours. Alternatively, you can take a bus; or take a train. In December in Montreal, expect temperatures between -1°C during the day and -7°C at night. Finish up your sightseeing early on the 30th (Sun) so you can travel to Toronto. Kick off your visit on the 31st (Mon): explore the historical opulence of Casa Loma, then examine the collection at Royal Ontario Museum, and then examine the collection at Hockey Hall of Fame. Here are some ideas for day two: admire nature's wide array of creatures at Ripley's Aquarium Of Canada, then enjoy breathtaking views from CN Tower, and then take a stroll through The Distillery District. To find ratings, traveler tips, and other tourist information, refer to the Toronto journey planner. You can fly from Montreal to Toronto in 3 hours. Alternatively, you can take a train; or drive. Traveling from Montreal in December, expect Toronto to be somewhat warmer, temps between 2°C and -3°C. Wrap up your sightseeing on the 1st (Tue) to allow time to travel back home.